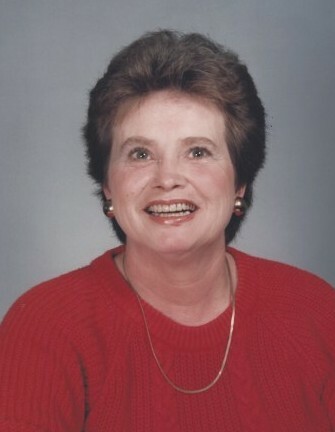 Ruby Lee Black, 82, of Walterboro, peacefully entered the Gates of Heaven on Saturday, September 15, 2018. Born April 18, 1936 in Darlington County to the late Inez Grooms Lee and Jethro Allen “Jake” Lee. She was a member of Mount Carmel United Methodist Church. Mrs. Black was a 1953 graduate of Walterboro High School and attended Rice Business College in Columbia. Most of all, she was a loving mother and grandmother. Mrs. Black is survived by: a daughter, Terry Boyce of Walterboro; a son, Grady Black (Cindy) of Beaufort; five grandchildren, Brittany Gardner (Jayson) of Columbus, Ohio, Allen Black (Morgan) of Ridgeland, Brandon Boyce (Ashley) of Cottageville, Ashley Boyce of Cottageville, and Adriene Weaver (Roland) of Huntsville, Texas; and three great grandchildren, Autumn, MacKenna, and Korbyn. She was preceded in death by an infant great granddaughter, Macy. In lieu of flowers, the family requests that memorials be made to: Mount Carmel United Methodist Church, care of Maxine Beach, 965 Burlington Road, Walterboro, SC 29488. Funeral services will be held at 11 o’clock, Friday morning, September 21, 2018 at The Brice W. Herndon and Sons Funeral Chapel, Walterboro. Interment will follow in Mount Carmel United Methodist Church Cemetery, Mount Carmel Road, Walterboro. The family will receive friends Thursday evening from 6 until 8 at THE BRICE W. HERNDON AND SONS FUNERAL HOMES AND CREMATORY, WALTERBORO CHAPEL, 1193 Bells Highway, Walterboro, 843.538.5408. Visit the registry online at: www.briceherndonfuneralhome.com.